Stay out of the kitchen at your child’s next birthday and let us do all the work. We can help plan the catering, entertainment, and themes too! Time To Clean Those Grills! 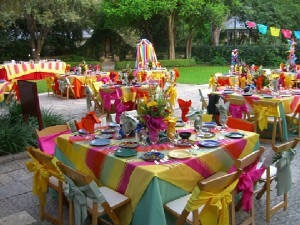 With the gorgeous weather approaching, why not find any excuse to entertain! 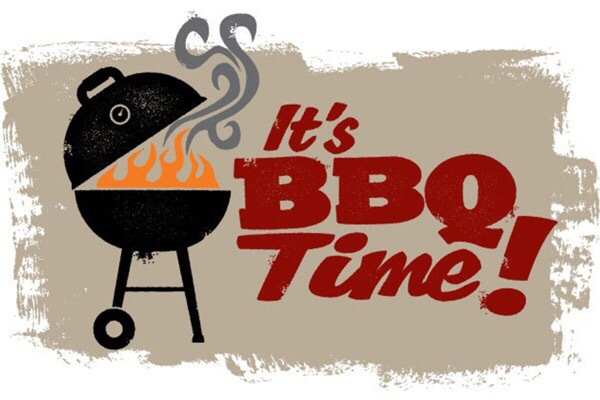 Grill chefs, waitstaff, bartenders, lifeguards, and more! 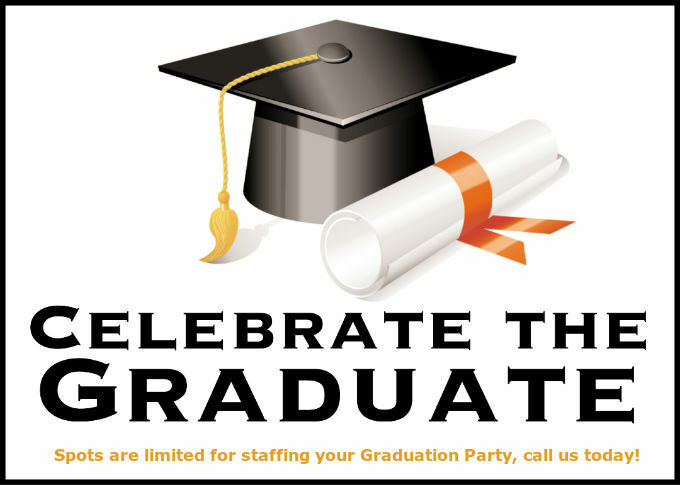 Having a graduation party at your house this June? Let Wait On You host your party with ease. 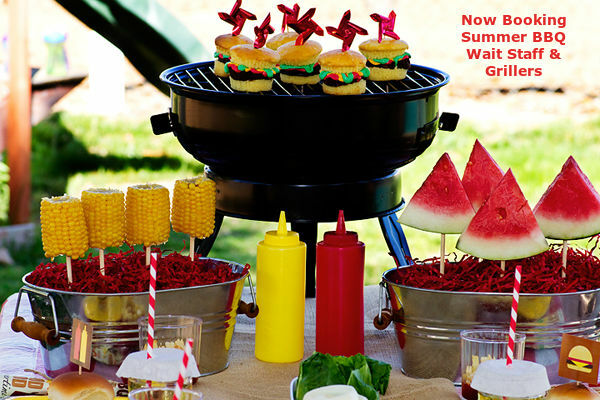 Our wait staff will arrive before your party begins and help set up and assist with food prep. During the party they will switch out food, refill as needed, and clean. 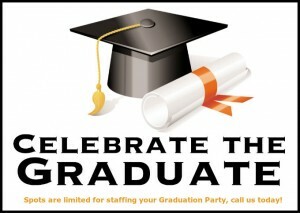 At the end they will clean everything up and put away the food while you relax and enjoy your family and friends. Add a griller to BBQ all your meats and a bartender to serve drinks to make this event a piece of cake!